Dr. Thekkoott joined Cardiovascular Institute of the South in 2008 as an interventional cardiologist and medical director. He completed his Bachelor of Medicine and Bachelor of Surgery in Kerala, India, where he also received his Doctorate in Medicine. He then completed extensive training in cardiology and cardiac transplantation at the Imperial College of Medicine, Hammersmith Hospital, in London and practiced as a staff cardiologist in the United Kingdom at the University of Wales College of Medicine at Cardiff. Dr. Thekkoott undertook further cardiovascular training in Brooklyn, New York, at Maimonides Medical Center, where he completed his internal medicine residency, cardiology fellowship and interventional cardiology fellowship. He continued his training at Lenox Hill Heart and Vascular Institute of New York in cardiovascular computed tomography. Dr. Thekkoott is board certified in internal medicine, cardiovascular disease, interventional cardiology, nuclear cardiology, echocardiography, cardiovascular computed tomography and endovascular medicine. He is a fellow of the American College of Cardiology, Society of Cardiac Angiography and Interventions and American College of Physicians. He was awarded a fellowship in the Royal College of Physicians of Edinburgh during an exclusive ceremony held in Toronto, Canada. He has received numerous awards including the John Goodwin Award for the best outgoing cardiologist from London University. He has also held the honor of chief resident elect and chief fellow. 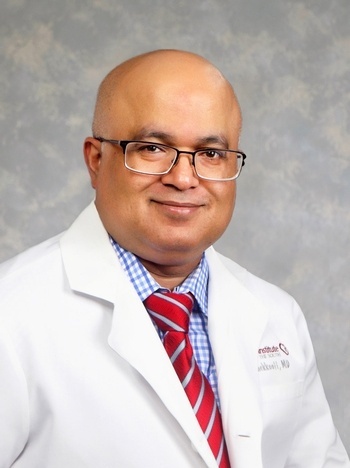 Much of Dr. Thekkoott's work has been published and presented to various national societies including the American College of Cardiology, American Heart Association, American Society of Nuclear Cardiology and Society of Cardiac Angiography and Interventions. He has also served on multiple, national panels to discuss interventional methods and procedures.